Two McKinsey Consultants decided to start a corporate chauffeur service with a website for booking about four years ago. Little did they know, that along-with their third co-founder they were going to actually make a dent in the universe; that they were going to crowdsource public transport infrastructure of the region. Careem is the most successful startup story to come out of MENA. It’s amazing to see how much these guys have grown in four years only. Here’s an infographic listing all the important milestones in Careem’s short but very successful journey during the last four years or so. 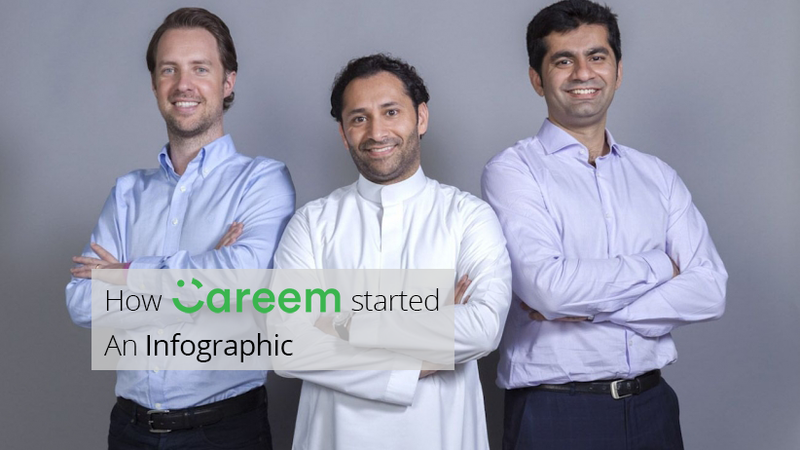 Our special thanks to the amazing Communications Team at Careem for helping us verify all the past events and details listed in the infographic. You could also check out how Careem’s website looked like when it first started in 2012.